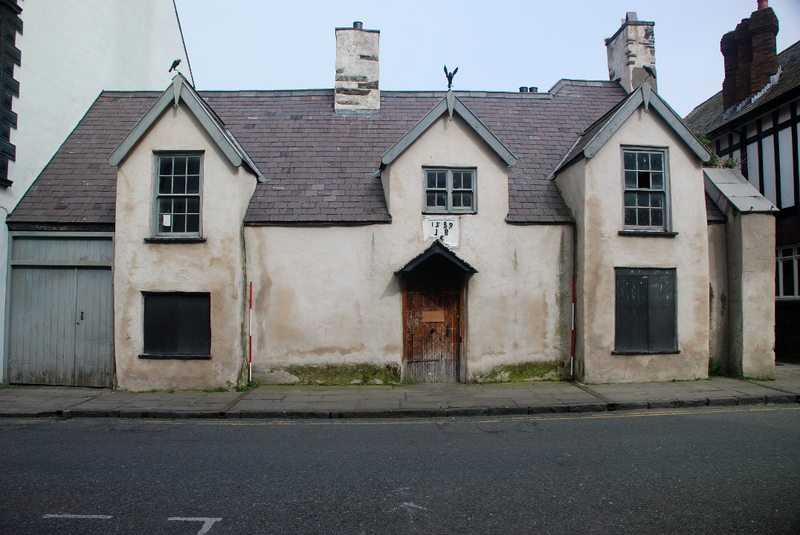 ‘The Old Black Lion’ in the middle of Conwy is a distinctive building which appears to date from 1589 based on a plaque above the door. Timbers within the building, however, have been recently dated for the Royal Commission on the Ancient and Historic Monuments of Wales, using dendrochronology, to the winter of 1441-1442. In collaboration with Govannon Consultancy, Engineering Archaeological Services Ltd were commissioned to record the house and its outbuilding, in detail, in advance of a planning application to convert the building into a home. Subsequently EAS have carried out a limited excavation, both within the house and in the rear garden to investigate the history of the house. The excavation in the later kitchen extension was particularly instructive suggesting that the current building is probably on the site of an earlier building which probably pre-dates the burning of the town in 1400 by the supporters of Owain Glyndŵr. All of the work was funded by the current owner.